Get your message on-the-move - quickly! 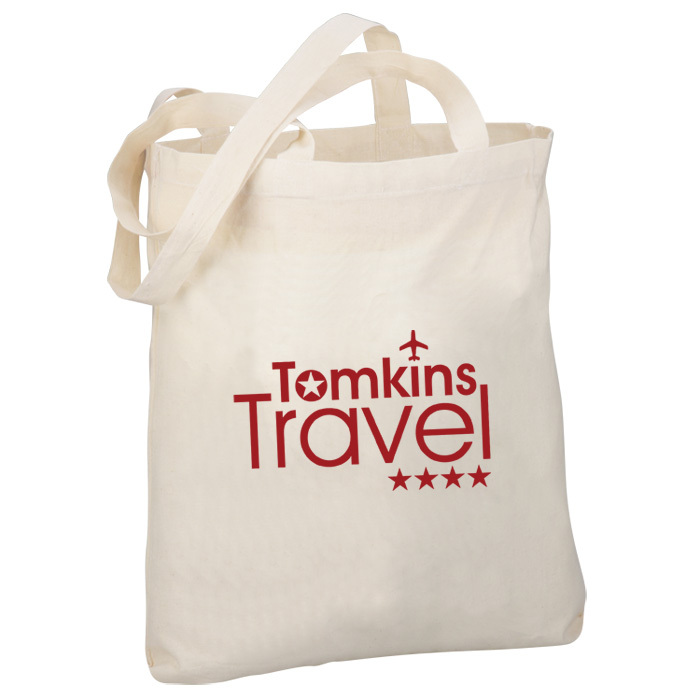 Natural coloured cotton shopper with a brilliant print area for your logo, marketing message and contact information. Compact and reusable, made from woven cotton making it a longer lasting alternative to a carrier bag. 3 Day service available on orders and artwork received by 11am - subject to sight of your artwork. Please approve your proof by 2pm so that we can dispatch your order in 3 working days. An order placed by 11am on Monday would be dispatched on Thursday provided that your artwork proof is approved by 2pm on Monday. Our express service applies to a 1 colour print to the front of the bag up to 250 units; for a higher quantity or for multi-colour designs please see the standard listing for this item. Print area: 225 x 260mm.